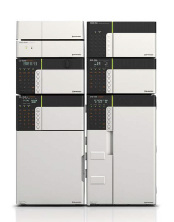 Shimadzu’s Prominence-i GPC system, provides superior data reliability and ease of use in the analysis of polymers and other high molecular weight substances. 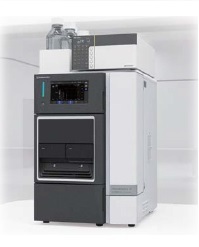 The Integrated Prominenc-i HPLC system can be easily converted into a GPC system through addition of the RID-20A, Refractive Index Detector for the analysis of polymers. The Intuitive and Intelligent Operation Panel of the Prominence-i helps in easy checking of operating conditions, such as flow rate, oven temperature, chromatogram monitoring etc. The Prominence-i GPC system’s RID-20A detector suppresses baseline drift by locating the optical system inside a double temperature-controlled housing and controlling inflowing mobile phase temperature. LabSolutions GPC software permits create a vast range of calibration curves such as linear, 3rd-order, 3rd-order + hyperbolic curve, 5th-order, 5th-order + hyperbolic curve, 7th-order, 7th-order + hyperbolic curve, or broken line. Mark-Houwink calibration curve correction methods or various correction methods based on Q-factors or degree of polymerization are also available. Large oven to accommodate three 3 x 300mm GPC columns with temperature upto 85 Deg C.